Our time in the great outdoors was incredible. We were the only guests, which meant our game drives at 5am and 5pm were fantastic because we could stay out or go anywhere we wanted. * The lodge itself – a huge flood last year wiped out the property so we walked into a brand new gorgeous home with cathedral ceilings of thatch, patio with dipping pool set with electric fencing all around close to a watering hole where we saw elephant, hyenas, baboon and impala come and go. 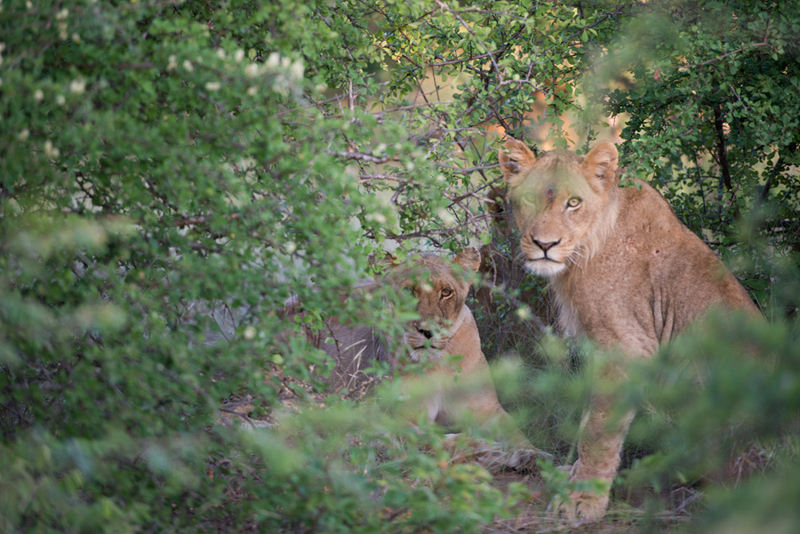 * First day found a pride of lions with youngsters, and lazy male. That night we tracked them sleeping on the road hearing incredible roars back and forth. * Driving on a ridge with a river below… Saw our first rhino – rhino are being poached at the rate of two a day – herds of elephants with babies, kudu, and bright blue kingfishers. * Migrating Quelea- thousands of birds that swarm and make little balloon nests out of grass. * Tracking leopard tracks on road we find vultures that give away the location of the kill made the night before. Smelling the rot of decay we find the eaten carcass of a young buffalo. * And, of course, giraffe, herds of impala, more elephants, and much more. We hated leaving but travel is travel and we head to Cape Town. Categories: By Patty, South Africa | Tags: Kruger, nDzuti Lodge, South Africa | Permalink.